People seem to get confused when you mention in-home lessons. “Doesn’t that get uncomfortable?” What people don’t realize is it only becomes uncomfortable if you or the family makes it uncomfortable. This is where Ella Damico comes in. First off, this girl has one of the best ears in music. 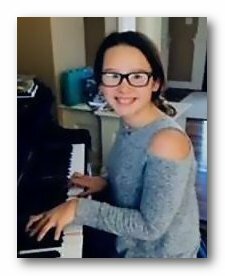 She can hear a song once and be able to play it right back to you, and she can also transpose any song at the top of a hat. And that right there is the reason I do in-home lessons.So thank you, Ella, for making me part of your family. 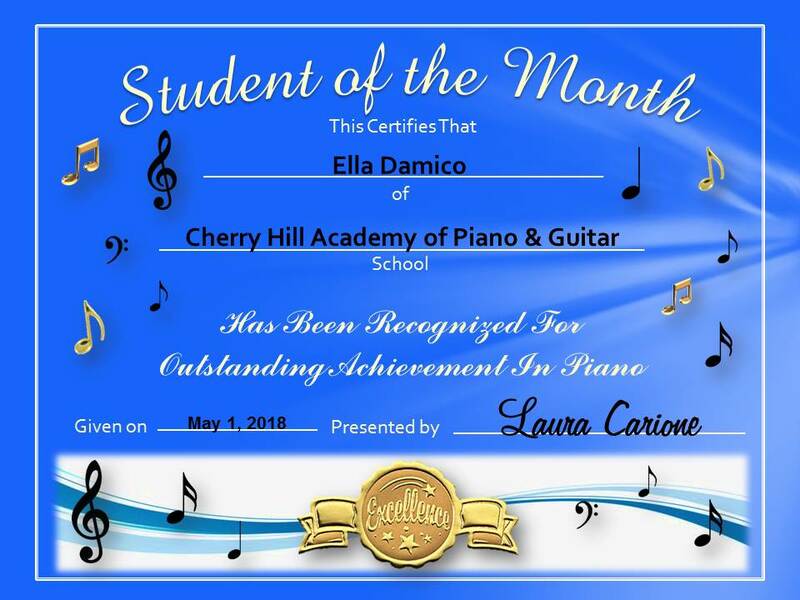 Congratulations Ella! Your framed Certificate of Achievement is on the way! What instruments do you play? Piano and clarinet. How long have you been taking piano lessons? 6 ½ years. Who are your favorite musical artists? David Bowie and Camila Cabello. What are your other hobbies besides music? I love swimming, tennis, and cats. Favorite food? Pork roll and raw cookie dough! What is the coolest thing you’ve learned in your lessons the past 3 months? Being able to play newer songs. Advice for other students? Don’t be afraid to ask for things you want!